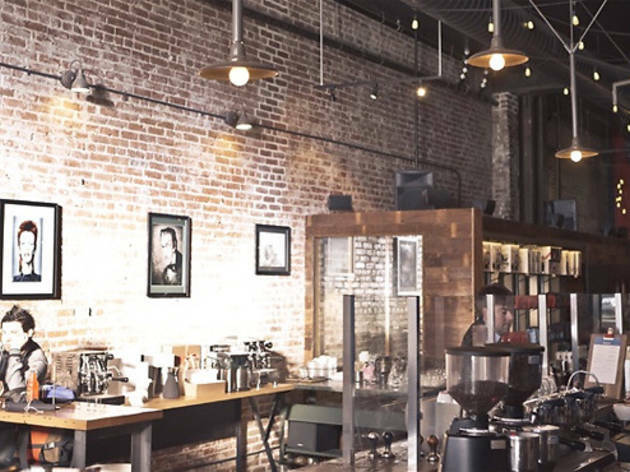 The third and largest installation in Los Angeles, Intelligentsia's Pasadena Cafe serves up not only delicious coffees and teas, but also craft beers and wines from a small, well-curated menu. With more space, light and parking (and beer) than its East and Westside cousins, the Pasadena location just may become the most popular. Of course, "popular" doesn't always mean "best"—and you will indeed find better within a few blocks—so consider this trendy, somewhat tired spot a handsome standby. 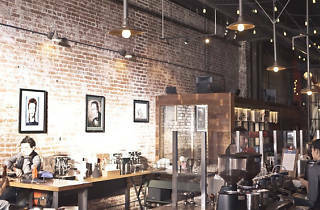 Intelligentsia screams high end, modern, urban, and a little hipster - but I absolutely loved it! Apparently there are coffee line rushes late afternoon and early evening. I came here at around 12:30pm, and there was no line at all. I ordered their signature iced coffee which I actually had thought it was more of a mocha flavor but it really was just their speciality coffee iced, and I will say was a bitter for me. They also have some pastries, and I recommend the pumpkin bread if you're looking for a bite to eat while drinking your coffee.